Moondog's Library: FLASH!! 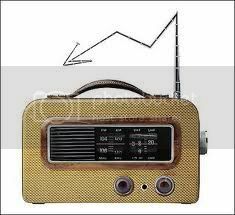 CRTC revokes license of a corporate radio station. NCRA says diddly squat. FLASH!! CRTC revokes license of a corporate radio station. NCRA says diddly squat. Remember in 2010 when Ryerson University radio station CKLN lost it's broadcast license for being incompetent, lying, weasels? Remember when Ryerson's attempt to get that license back was turned down? 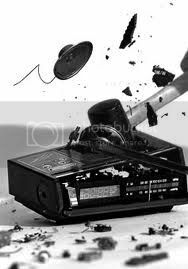 Remember how the far leftist wack-jobs at CKLN and the National Campus Radio Association claimed it was proof of the CRTC's "corporate agenda" to "destroy community radio"? CKLN and NCRA partisans (like say; NCRA head Shelly Robinson, CKLN Manager Jacky Harrison and CKLN Exec Andrew Lehrer) insisted that the CRTC was being unfair, holding CKLN up to an unfair double standard compared to commercial radio who are always breaking the rules and never getting penalized. It's all so unfair. 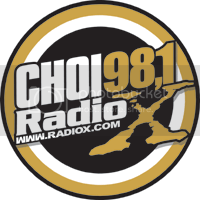 According to their official line the only time a commercial station lost it's license for not complying with CRTC was CHOI FM in Quebec City in 2006, and they were able to sort of weasel out of it by fighting the ruling in court until they could sell off the signal. (Note: As it happened the court ruled in the CRTC's favour after the fact, although by then the station had changed hands). NIAGARA FALLS - The airwaves may go silent at CJRN 710. The Niagara Falls tourist information radio station has been ordered by the Canadian Radio-television and Telecommunications Commission to cease broadcasting by Nov. 30. A report issued by the CRTC on Oct. 10 states that CJRN Radio 710 AM failed to comply with multiple sections of the Radio Regulations, including broadcasting a live program in the Punjabi language and having commercial messages that targeted the Asian community in Toronto. According to the licencee’s condition, the radio station was only permitted to broadcast pre-recorded tourist information for the purpose of informing visitors to Niagara Falls. The CRTC monitored the programming of CJRN during the week of April 18, 2010 to April 24, 2010 and found that, in addition to weather forecasts and tourist information consistent to the licence, the station also broadcasted international, national and regional news, promotions for two Niagara Falls FM radio stations and sports updates from NHL games. Radio 710 said that the information provided was of particular and direct relevance to tourists, said the report. A second monitoring period took place between Aug. 14, 2011 and Aug. 20, 2011. During that time, a program entitled Reflections on Islam containing both spoken word and musical selections was aired. The radio stationed claimed it was providing the program for Muslim tourists who were celebrating Ramadan. On Aug. 25, 2011, the CRTC requested program logs from that week in August and failed to receive portions of the broadcast. “The Commission considers that the issues of non-compliance … when taken cumulatively, are extremely serious both due to the nature of the non-compliance and its recurrence,” said the report. Niagara Falls Tourism chairman Wayne Thomson said his organization “didn’t really have a relationship or association” with CJRN 710, but believed the radio station to be a good service to the tourist community. The decision can be appealed. A representative from CJRN could not be reached for comment. No word yet from the CKLN/NCRA Axis on why the CRTC forgot their much feared "corporate agenda" and shut down a corporate station for blatantly flaunting the rules. And this after the CRTC granted the old CKLN 8.1fm license in Toronto to tiny INDIE 88 instead of the 20 or so corporate entities who also applied. I guess they didn't get the memo from their corporate masters.